You can slice the mushrooms up first like I did in this photo or you can just throw them in whole to save time. Throw the mushrooms, onions and chicken broth ( or you can also use vegetable broth) into a large pot and simmer for about 20 minutes until tender. Put this mixture into a blender or food processor and puree until smooth. 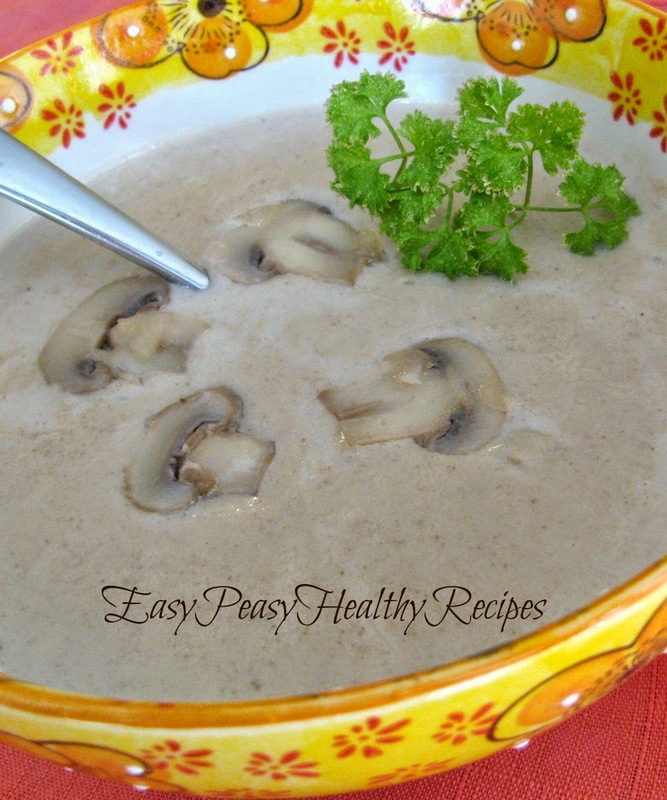 If you want some sliced mushrooms mixed in with your soup be sure to set some aside before this step. Melt the butter in large pot and then whisk in the flour until smooth. Pour in the half and half and then the mushroom mixture. Add salt and pepper to taste. Heat this to a boil and then simmer until thickened. The recipe below makes 6 servings. I usually double the recipe in order to have a lot to freeze. In blender or food processor, puree the mixture , leaving some chunks of vegetable in it. Set aside. In the saucepan, melt the butter, whisk in the flour until smooth. Add the salt, pepper, half and half and vegetable puree. Stirring constantly, bring soup to a boil and cook until thickened. Adjust seasonings to taste.